and enjoyed every minute creating!! I created with some of my favorite supplies and incorporated my favorite colors. 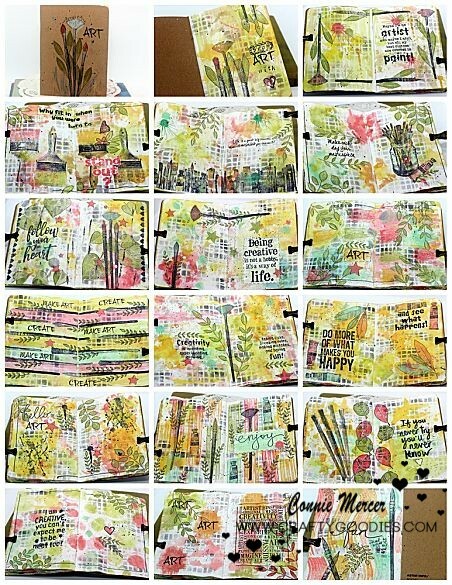 To get a better look at each page here is link Crafty Goodies:Sketchbook Project 2018. All the details and product list on this page. Thanks for all the interest and support . Wowwwwwwwww! This is AMAZING!!! I am LOVING all the colors!!!!!!!!!!!!!! oooooo I'm loving the colors too. Soooo cool.